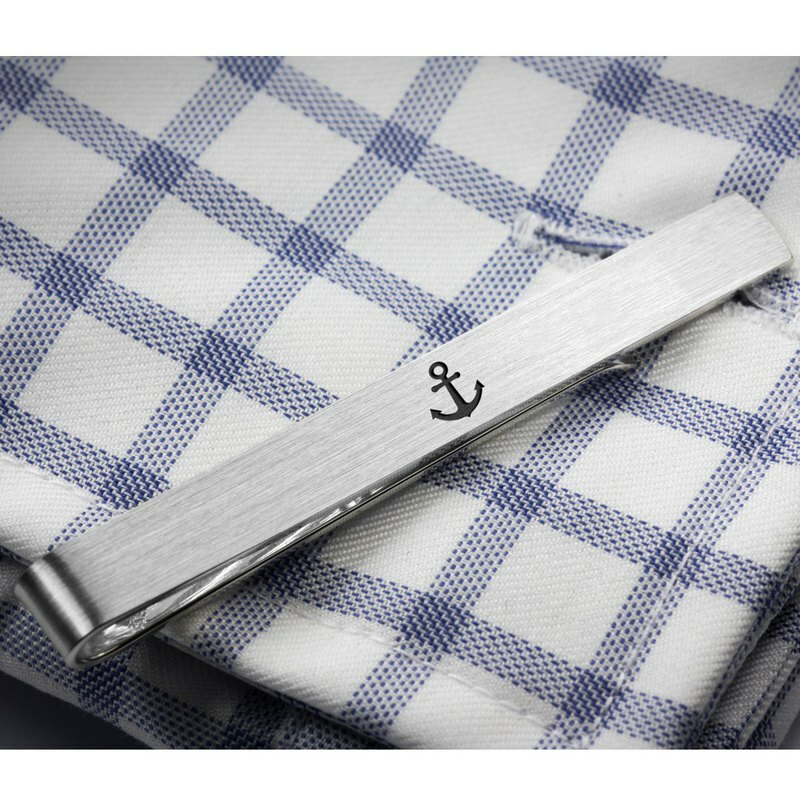 Custom engraved tie clip - Anchor tie clip laser engraved. CUSTOMIZE your tie clip with any other graphics or text. Custom engraved tie clip - Anchor tie clip laser engraved. Customize your tie clip (front or back) with any other shape or wordings. Make this 925 sterling silver tie bar a keepsake aniversay gift, graduation gift or grooms gift from bride. ✈ UPS EXPRESS shipping to Asia ---- 2-3 business days delivery GUARANTEED ✈ - MATERIAL: 925 sterling silver - WEIGHT: 8g - SURFACE FINISH: light mat (regular, like at the pictures) - FREE PERSONALIZATION: your personal text ========================================================== All items are hallmarked & come in a cufflinks box ========================================================== Things You'll find inside a jewelry box: - Your individual design of sterling silver tie clip - Small wipe to clean and refresh the matte surface of your engraved tie clip - Real passion of item crafted by hand :) ========================================================== Contact us if you would like to discuss a bespoke design! ========================================================== All orders are shipped with ✈ UPS EXPRESS ✈ 2-3 business days delivery GUARANTEED!